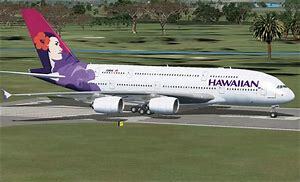 A crew member for Hawaiian Airlines died in the air from a suspected heart attack, despite attempts to save him using CPR. On Thursday, Emile Griffin was working on Flight 50 when he went into distress. A passenger told Hawaii News Now that the crew performed cardiopulmonary resuscitation “for hours” and a doctor and paramedic assisted with the “sad and very confusing” situation. Passenger Andrea Bartz, whom Yahoo Lifestyle could not reach for comment, live-tweeted some information. The passenger also told Hawaii News Now that the crew announced an emergency but didn’t explain. And that after diverting to San Francisco International Airport, the plane was stalled on the runway for almost two hours waiting for the coroner. All 253 passengers were reassigned available flights and will be compensated, says Botticelli. A representative of the San Mateo County, Calif., coroner’s office tells Yahoo Lifestyle that Griffin was 60 years old and a resident of Pahoa, Hawaii.